The company’s Mobile Virtual Enterprise (MOVE) architecture unifies these three core areas into one cohesive and manageable system that strengthens security and dramatically simplifies bring-your-own-device implementations. MOVE leverages a programmable infrastructure so it easily adapts to the dynamics of mobility. This enables IT to manage traffic flows on any wired, wireless and remote network and control how devices and work applications are used – without upgrading or reconfiguring existing networks. Whether away or at work, MOVE gives users consistent, secure access to the appropriate corporate resources based on who they are, where they are and what device they’re using. The result is a rightsized network infrastructure that saves IT time, reduces capital and operating expenses, speeds-up service delivery, and provides every user with the highest-quality mobility experience. Headquartered in Sunnyvale, California, Aruba has offices throughout the Americas, Asia-Pacific/Japan and Europe/Middle East/Africa regions. Aruba is listed on the NASDAQ and Russell 2000® Index. 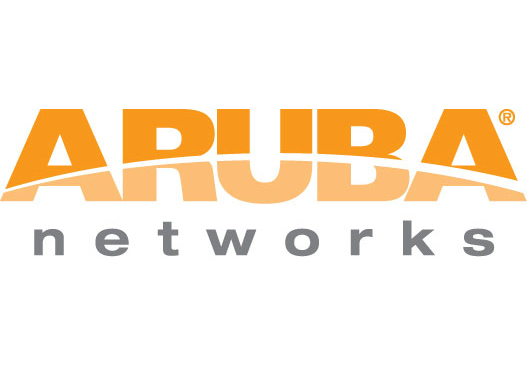 Follow Aruba on Twitter and Facebook or read our blog. Watch Aruba at 10 video and read our corporate overview.